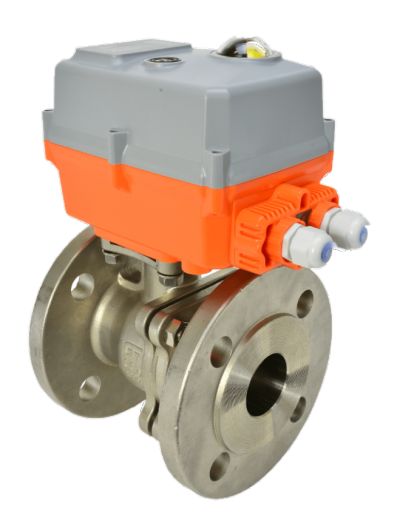 Air actuated 3 way stainless steel ball valve with double acting or spring return pneumatic actuator, ball valve designed for actuation with integrally cast ISO5211 actuator mounting platform, L port for diverting duty, supplied assembled and bench function tested. For use in general service applications such as water, foodstuffs, air, oils, gases and many corrosive media. 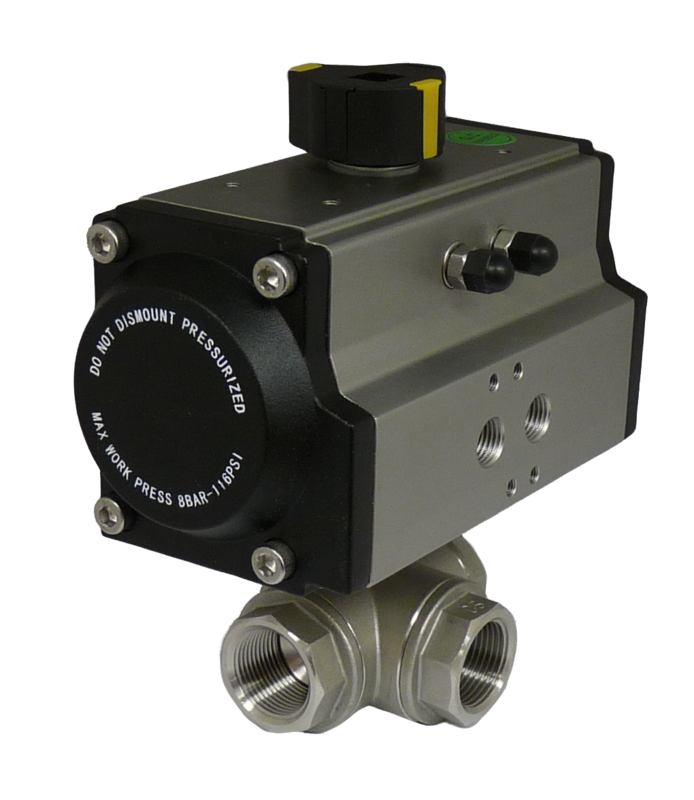 CH-air A or C Type pneumatic actuator fitted producing a competitive valve and actuator assembly. 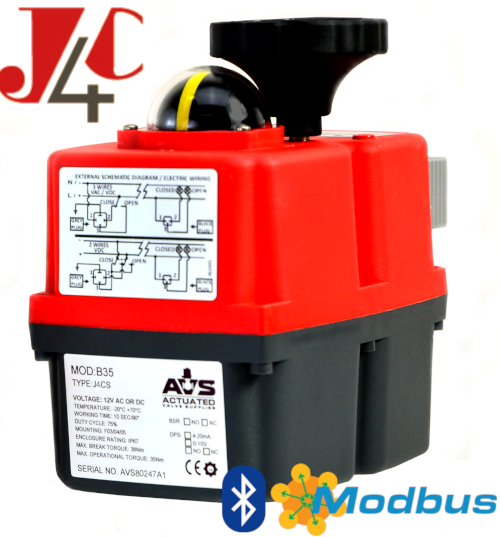 You can buy these 3 way actuated valves online at AVS.